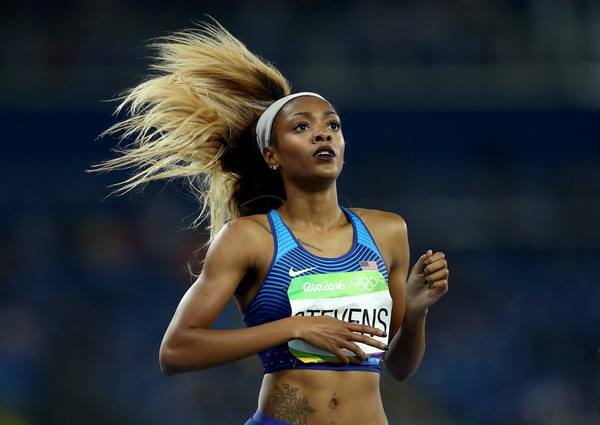 If you've been like me over the past few weeks, you have been in awe of the absolute black girl magic taking place at the 2016 Olympics. It's been so inspiring to watch athletes like Simone Biles, Simone Manuel, Michelle Carter and so many others take home the gold. As I have been watching the Olympics, one thing that I couldn't help but notice is the absolute makeup slayage that many of the athletes are bringing to the games. When I think of the Olympics, I think of heat and sweat, but there's absolutely nothing wrong with looking good while competing. 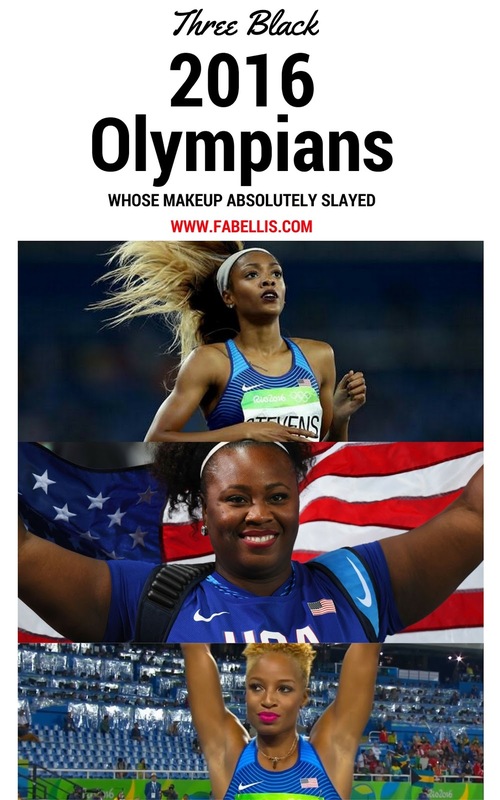 I wanted to share a few black athletes whose makeup has been on point during the Olympics. As I watched Deajah Stevens compete on Tuesday evening, as soon as she came across the televsion, I said, "Yasss!" Deajah not only got qualified to be in the finals, but she did so rocking a bomb dark lip. From her great brows to hair, I loved her look. Plus, two thumbs up to her for rocking dark lips in summer. Slayage has no rules! 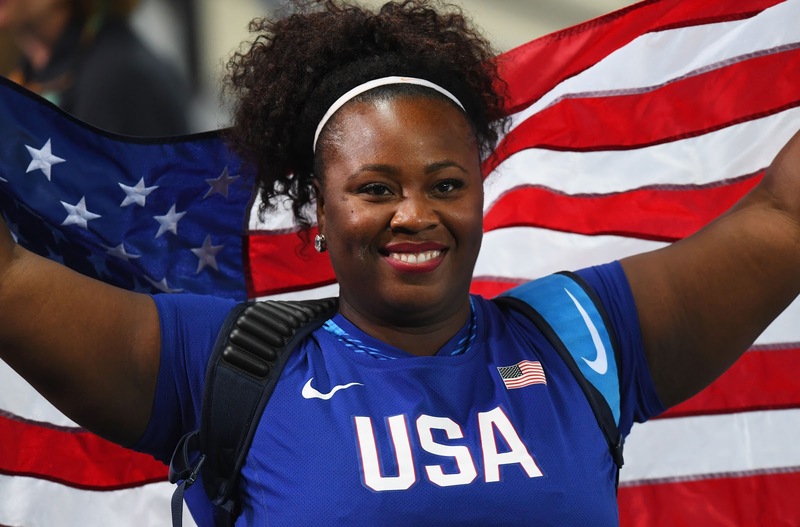 First of all, it is still so inspiring that Michelle is the first American woman to win an Olympic medal in women's shot put since 1960. Did you know that she is also a certified makeup professional? Honey! No wonder she came to the competition with her lashes and red lips. Her personal motto is, "Look Good, Feel Good, Do Good!" I am here for it all! When Natasha first flashed across my screen, I was immediately in love with her blonde hair. 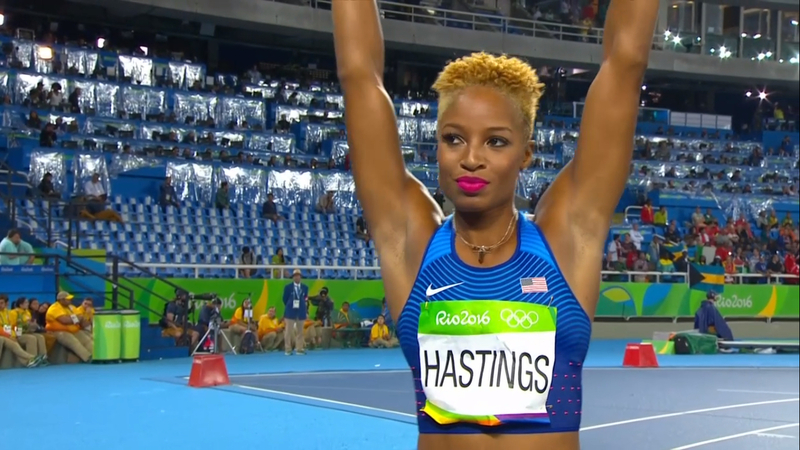 You all know I love fabulous color and cuts and she brought both to Rio! Every time I've seen her online or on television, she is always rocking a bold lip and amazing eye makeup. 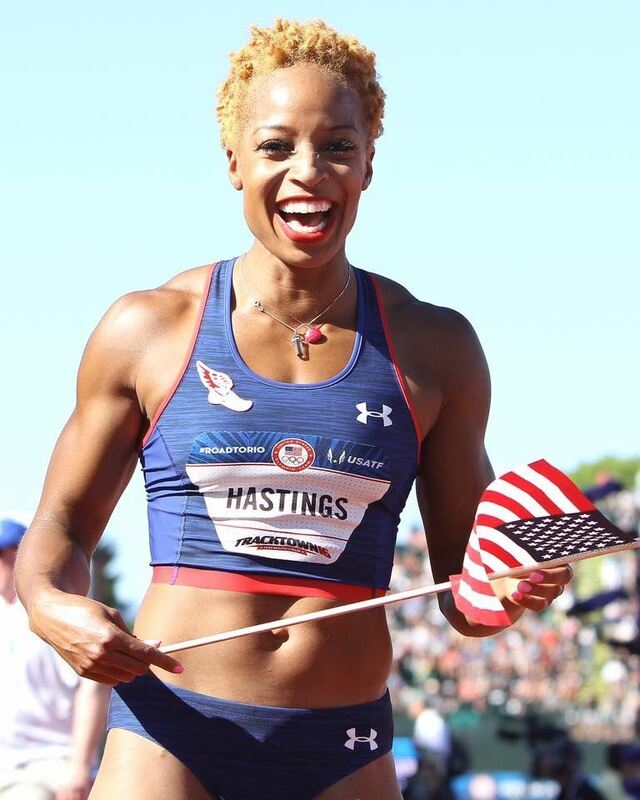 I can't wait to watch her compete this weekend and I know it will certainly be in style! Which makeup slay was your favorite?